Most folks think of deserts as desolate places that are devoid of life. Joshua Tree National Park, nestled in the middle of Southern California, elegantly tears that notion asunder. In addition to the legendary Joshua trees, this place is rife with wildflowers, cacti, and critters of all sizes. While driving through the park, you’ll think you’ve stumbled onto an alien planet with plants and rocks that have tread foreign evolutionary and geological paths. But you haven’t; this Rhode-Island-sized park is on our own beautiful planet Earth. Aren’t we lucky? If you’re interested in visiting — which you really should be — check out this guide on things to do in Joshua Tree and the surrounding areas. For help, we’ve tapped the wisdom of Juniper Ridge Storyteller Obi Kaufmann and Joshua Tree Public Information Officer George Land. 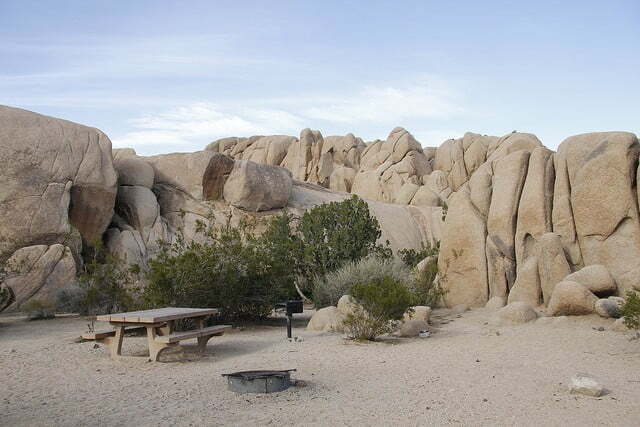 Joshua Tree is traditionally considered a fall-to-spring park, though there’s really no bad time to visit. George Land Public Information Officer claims this year will be an especially good one for the park. “We had quite a bit of precipitation this year in comparison to the last couple years,” says Land. “We’re looking to have a great wildflower season this year.” Wildflowers, rocks, trees, drinks, BBQ–what else could you want? 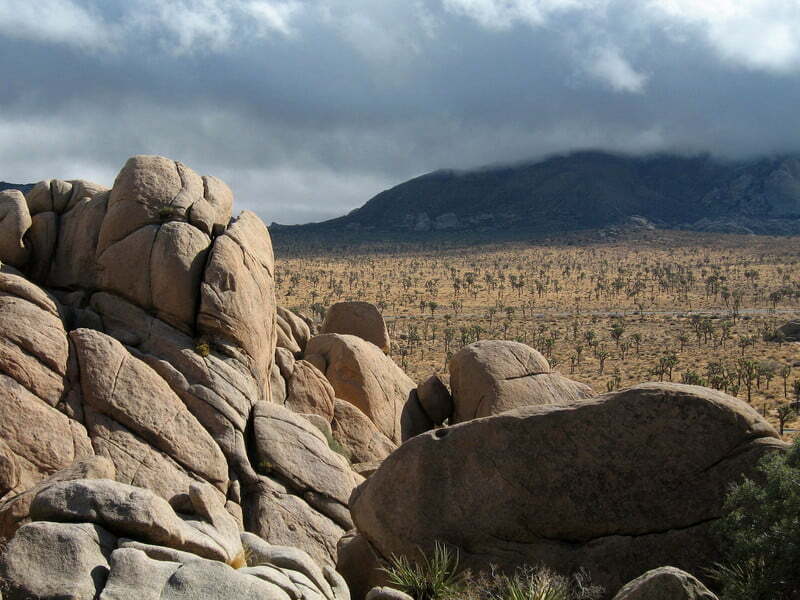 With the help of this guide, we know you’ll have no shortage of things to do in Joshua Tree. No matter where you go in the park, you’ll see something mind-blowing and beautiful. We recommend simply driving around the park and getting lost in its splendor. One worthwhile diversion is Keys View, located in the southwest portion of the park. There, you can treat yourself to a stunning view of the San Jacinto Mountains, Palm Springs, Coachella Valley, and the Salton Sea. You can even see down to Mexico on a clear day. Joshua Tree is also filled with excellent hikes. George has recommended three hikes for us: one for hiking novices, one for intermediates, and one for hardened veterans of the trail. For intermediate hikers, Land recommends the Lost Horse Mine trail, which is about a four-mile hike. “While you’re going over the trail, you’ll see some interesting plant life and geology,” says Land. “Once you get out to the actual lost horse mine area, you’ll see the mine, a stamp mill, and also some rock ruins of small buildings from back when it was a working mine.” Yours truly took a hike on this trail, and can recommend it without reservation. “One of my favorite hikes in the park starts out in the area called The Maze,” says Land. 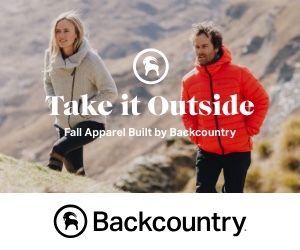 “The trail has a lot of very interesting rock formations, and takes you through places where you can almost touch the rock with both hands on either side. It winds around–which is why it’s called The Maze–and goes down into a wash, where you can see Thunderbird Rock. It’s a hole in the rocks that actually looks like a Thunderbird with the sun coming through it.” Land says the Maze Loop is about seven miles total. For breakfast or lunch, Obi recommends Crossroads Cafe, located in the town of Joshua Tree. This place offers a tasty mix of American country food and Mexican favorites. The wood paneling, exposed ceiling beams, and bare light bulbs help give this cafe a unique brand of southwestern rusticity. I had the pleasure of eating dinner at the hip but casual 29 Palms Inn, which has an outdoor dining area largely centered around a pool. I enjoyed a juicy, tender ribeye steak and shrimp that was suspiciously fresh, considering we were in the middle of a desert. You don’t have to sleep on the ground to enjoy Joshua Tree–there are plenty of excellent places to stay in nearby towns. Since George Land is a federal employee, and thus not allowed to play favorites when it comes to private enterprises, we thought we’d recruit Joshua Tree-hugger Obi Kaufmann to help us with the hotels, bars, and restaurants in the area. I also have a few humble suggestions of my own. Obi recommends the Mojave Sands Motel, located in the town of Joshua Tree. As you’ll read on their website, this place has been described as an “eco-chic Moroccan desert refuge celebrating modern-minimalism.” So that’s cool. 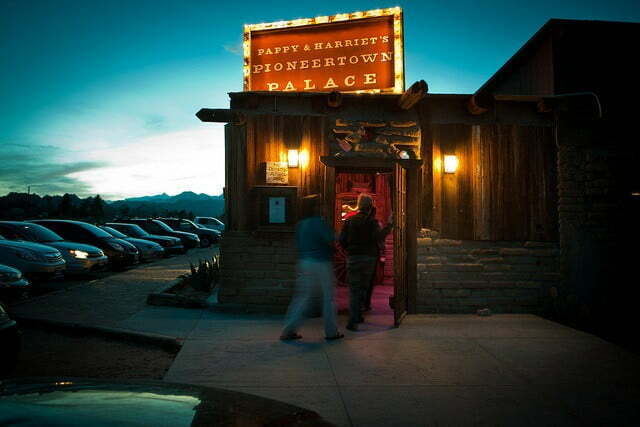 Obi also enjoys the Pioneertown Motel, which boasts 18 unique, western-decorated rooms. Pioneertown is a funky little community that was originally built as a old movie set for westerns. I had the pleasure of staying at Roughley Manor, a spacious and luxurious bed and breakfast in the town of Twentynine Palms. The main house was built in 1928, and the modern compound boasts a hot tub, swimming pool, multi-room suites, a museum, and much more. Obi Kaufmann is the Chief Storyteller for Juniper Ridge, a natural fragrance company that distills scents directly from the wilderness. Check out their fragrances and other products at the Juniper Ridge website. 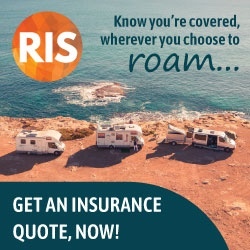 ← Is the fulltime RV lifestyle right for you and your family?